Hello my little feathers! How is your week? Today I want to share a nice discovery I made recently in terms of face routine. 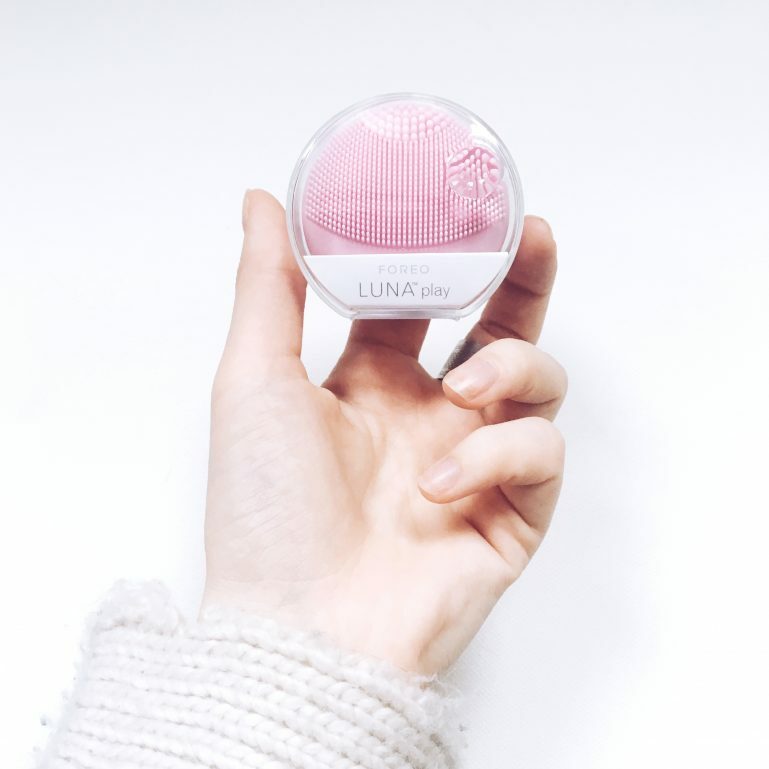 Specifically CLEANING face routine: the Foreo Face Cleanser Luna Play. 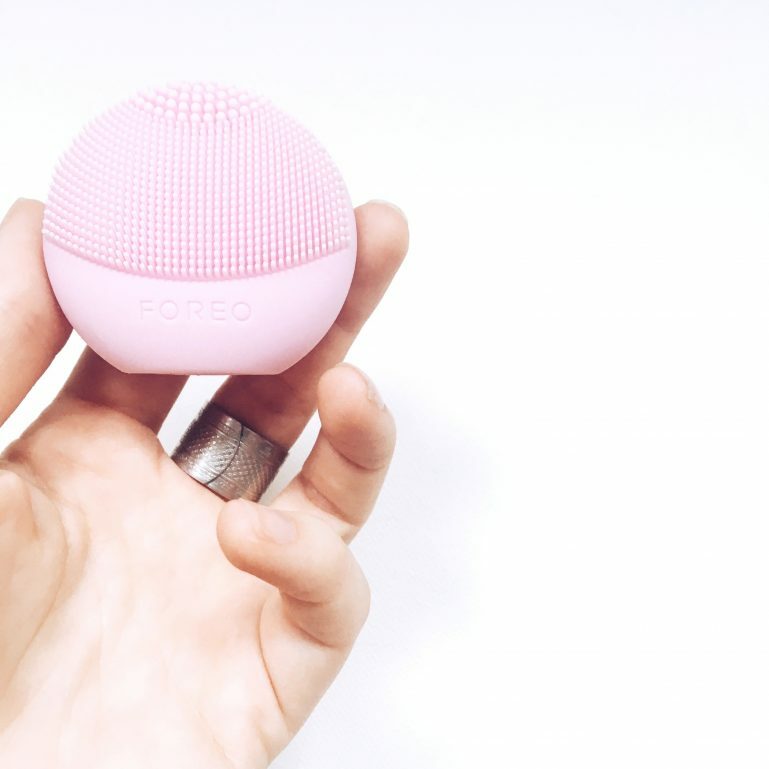 Have you ever heard of the brand Foreo? And about their Luna face cleansers? These are electric facial cleansing brushes that deliver T-Sonic pulses (in short, that vibrate) via a so-called “revolutionary” design for personalised cleansing. They are supposed to remove 98.5% of impurities from the skin: sebum, pollution, makeup, etc. in order to leave a clean, smooth and clear skin. Inevitably, I was curious : I have always only used cottons soaked in micellar water. So, I tested it! And here is my review. 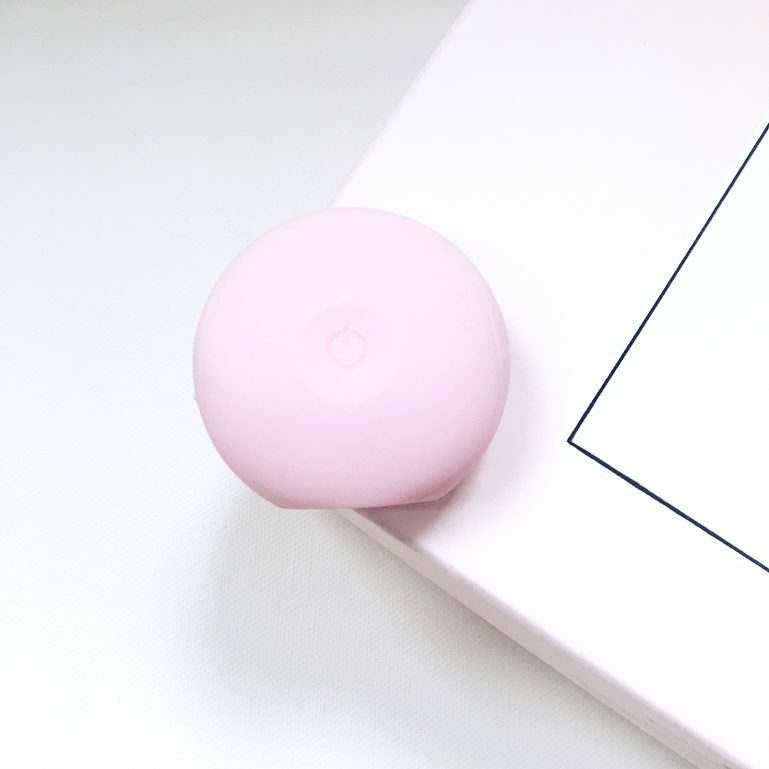 The Foreo Face Cleanser Luna Play : is it good? I have personally tested the Luna Play brush (the Luna Play is a “mini” version of the classic version). 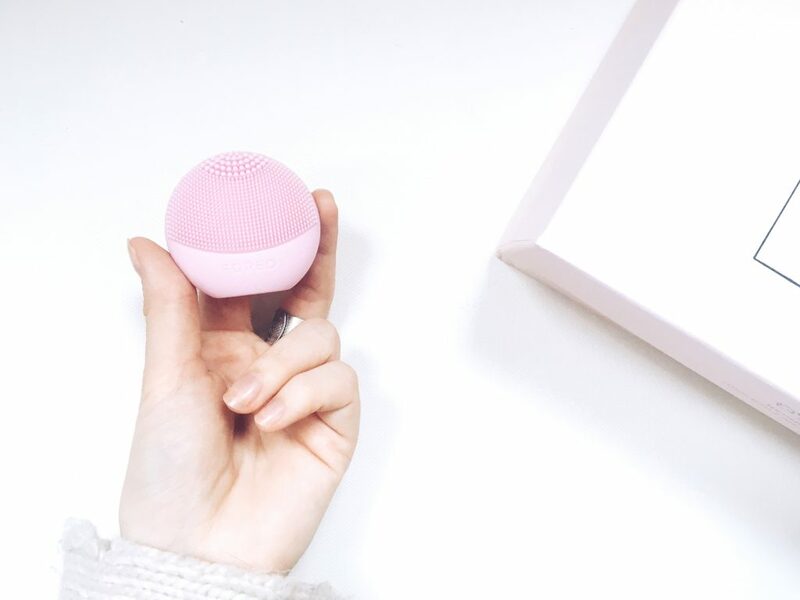 But before I tell you about it, let’s talk about the one that is most “sold” at Foreo: the brush Luna 2. 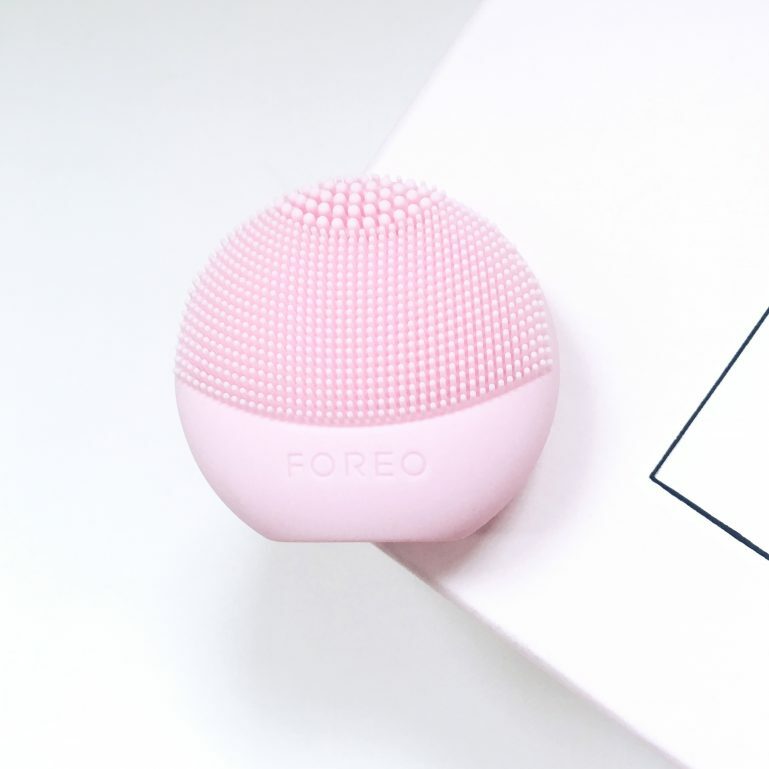 This is the best known of the range and the one that made the Foreo brand famous. But it is rather expensive: 199e. 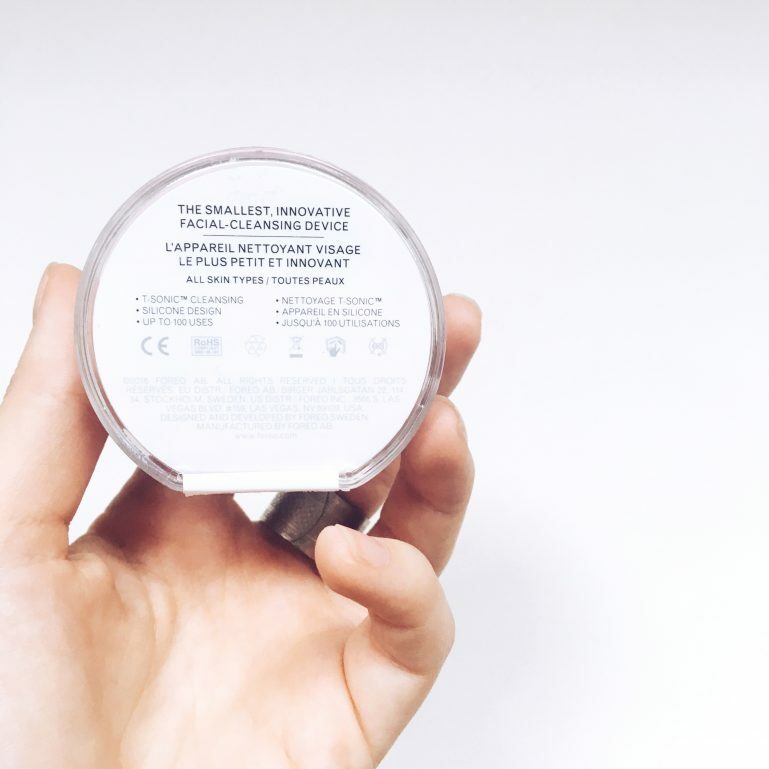 Because it is customized: it adapts to all skin types, with 4 different brushes depending on the orientation of the silicone pimples for oily, dry, mixed, sensitive skin. In addition, the level of vibration intensity can be adjusted, with 12 possible uses. If you’re curious, you can watch this video of presentation of the Luna 2. But… still 199e! It looks great but I had noticed another version, less expensive (39e … already better) and which seemed to do the job well: the Luna Play. What I like most: the price, 39e, much more affordable (and that allows to get an idea of the technology before spending astronomical sums) and the super practical format (which can be brought everywhere, even in the bag when leaving for the weekend for example). This format adapts to all skin types and allows 100 uses of 1 minute. Yes, it’s too bad because it’s not rechargeable (which also explains the small price). The use is super simple: simply pass Foreo Face Cleanser under water (it is totally waterproof) and add a drop of face soap on. Then press the “play” button and massage the face with small circular movements for 1 min, and rinse. I used it for about 3 weeks, and I can tell you I like it very much! I have super smooth skin, clear, I have fewer imperfections. You can see that this little brush cleans the pores deeply and helps to improve the skin texture. I saw an improvement from the first days of use. Moreover, I think that the vibrations must be very good for the quality and firmness of the skin because they massage the face, which is good for blood microcirculation, wound healing, cell renewal and so on. Great product ! Here are the links to all the colors of the Luna Play! Girly, isn’t it? I just love it ! Do not forget that you can always find my selection of the best beauty products on the Shop My Bathroom page. Previous Post Pink jacket, spring vibes and head full of projects !